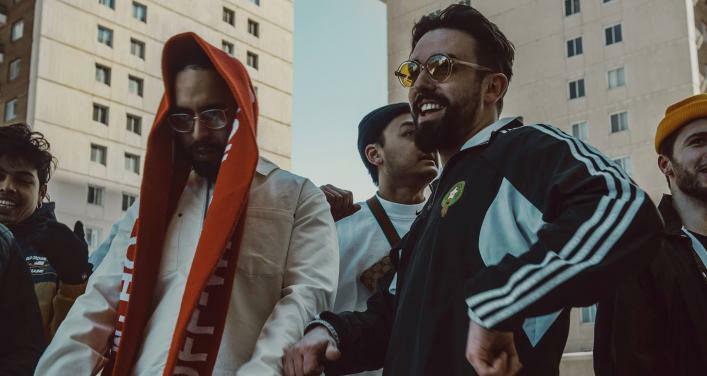 DE.VILLE is a Quebec-Morocco duo composed of producer and musician Simon Pierre and singer Ziad Qoulaii. Their musical compositions according to the nostalgic melodies, supported by basses and percussions counterbalanced by the inimitable voice of Ziad. DE.VILLE draws its inspiration from Raï, Maghreb music and West African threads while being the identity of the current Montreal music scene. Darija, classical Arabic, French, English and Swahili, the multilingual and multicultural aspect of the project is a representation of the current Quebec. In short, it’s unclassifiable, you have to discover in live.